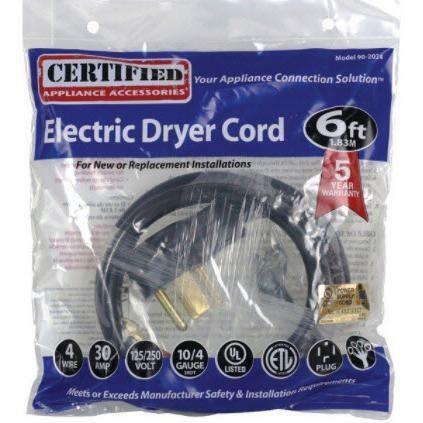 Certified Appliance Accessories 4-Wire dryer cord (6 ft.). 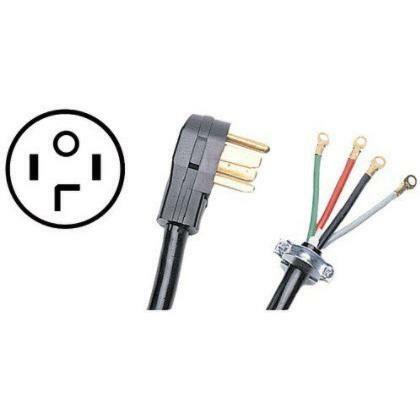 The black cord with closed eyelets is UL listed and ISO 9001:2008 certified for safety. Certified Appliance Accessories recommends installation of this product be performed by a licensed professional.